Cigar Emporium in Elements is relocated to Hoi Ping Road of Causeway Bay on 22 Sept 2010 to better serve cigar lovers in the Causeway Bay area. 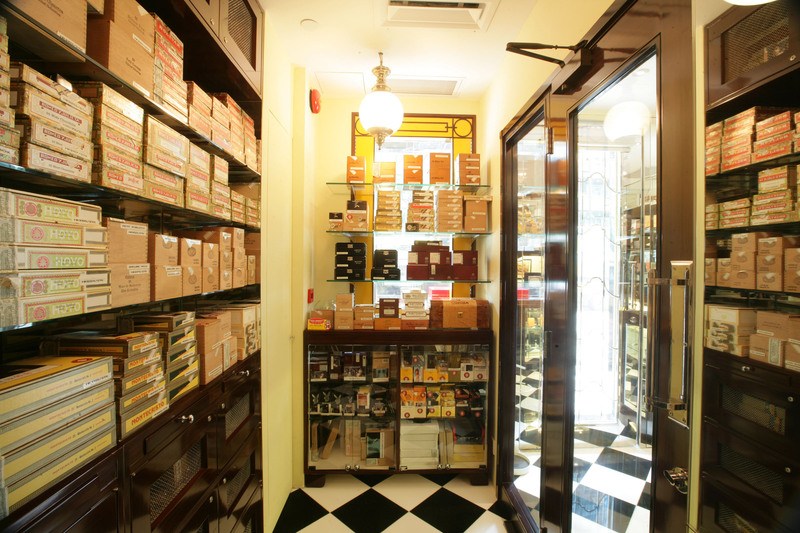 Situated next to Sunning Plaza and nestled in the heart of the shopping belt of Causeway Bay among branded stores, Cigar Emporium offers the finest stock of Cuban cigars and a selection of non-Cuban ones in its walk in humidor. It also has a wide selection of smoking accessories such as humidors, lighters, cutters & leather cases of various top selling brands such as Alfred Dunhill, Elie Bleu and SIGLO accessories. With a floor area of 300 square feet, Cigar Emporium is a cigar shop that caters to your smoking needs. It has a cozy tasting room and lockers for rental to keep the cigars in perfect condition. This shop is equipped with a 24 hours air-conditioning and humidification system to ensure optimum storage condition of cigars. If you are in Causeway Bay, do drop by at Cigar Emporium on Hoi Ping Road and our shop manager Joey Au will be happy to serve you.